Keeping your employees safe at work, no matter their shift or location, isn’t easy. Danger lurks in many forms, often resulting in workplace injuries, assaults, health issues and car accidents—affecting lone workers in all scenarios. Many believe the safety processes and policies they implement are in the best interest of their employees working alone, but are they really? Does your company implement safety programs to reduce stress? 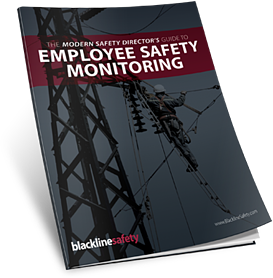 Our eBook, “The Modern Safety Director’s Guide to Employee Safety Monitoring,” provides you with up-to-date information and insight on topics ranging from lone workers safety training and workplace safety legislation to risk assessment and prevention for your employees who work alone.